Halls will be decked. Lights will be strung. And you'll be basking in all the great buys you got at this sale. From ornaments to wreaths to candles, there's a lot of red-and-green joy to be found. 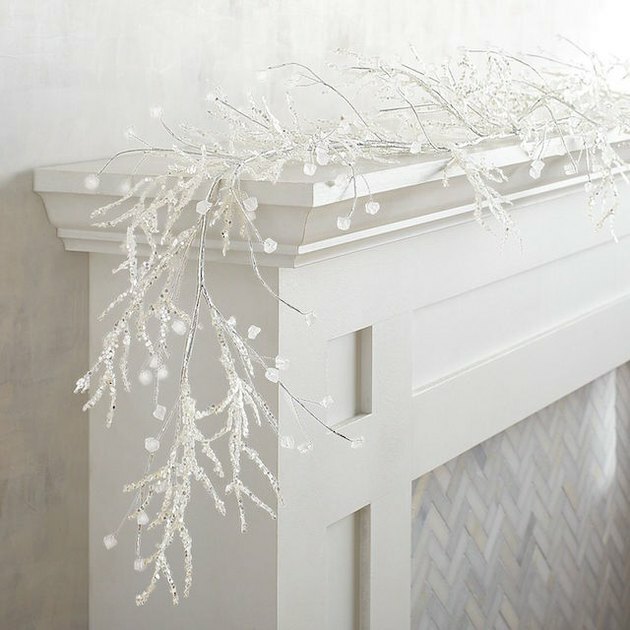 But we're veering to the cool wintery feel of this sparkling beaded garland and these ceramic star lanterns. 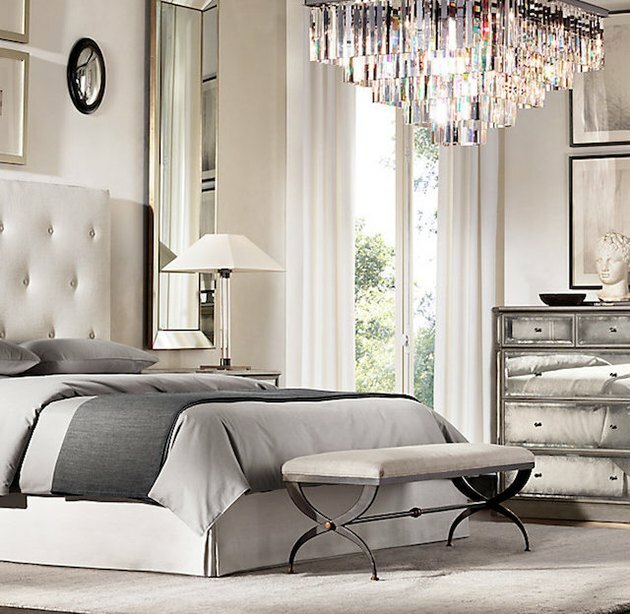 Restoration Hardware is going out big for the end of the year with deep discounts for every corner of your home. Go for sculptural accent pieces, like this 19th-century-style French-inspired bench ( was $595, now $475 ). Or give your floors some love with an abstract painting-inspired handwoven rug ( was $1,995, now $1,595 ). 'Tis the season of little delights. And you'll find plenty at sweet indie textiles maker MINNA. From rugs to napkin rings to towels, the assortment is all about gifting. 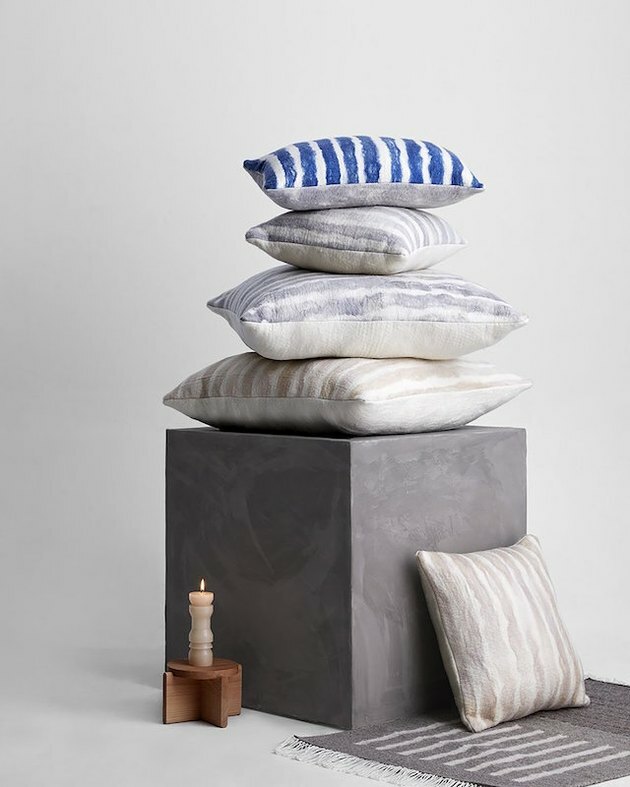 And that includes to yourself ( just try to resist these soft gray pillows with painterly stripes, were $180, now $120 ). While you could take 20 percent off anything as an opportunity to shop that new living room sofa you've been dreaming about, we won't blame you if you're drawn to littler luxe grabs. 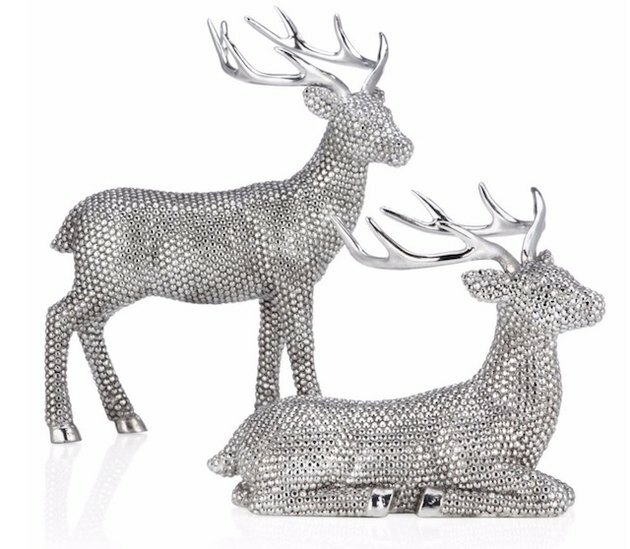 Especially these glimmering deer decorations. Use code GIFT20 through Dec. 4. Artful gifts are always a good idea. It's the perfect time to shop MoMA Design Store because you'll get $25 off when you spend $125 or more (just use code HOLIDAY25). 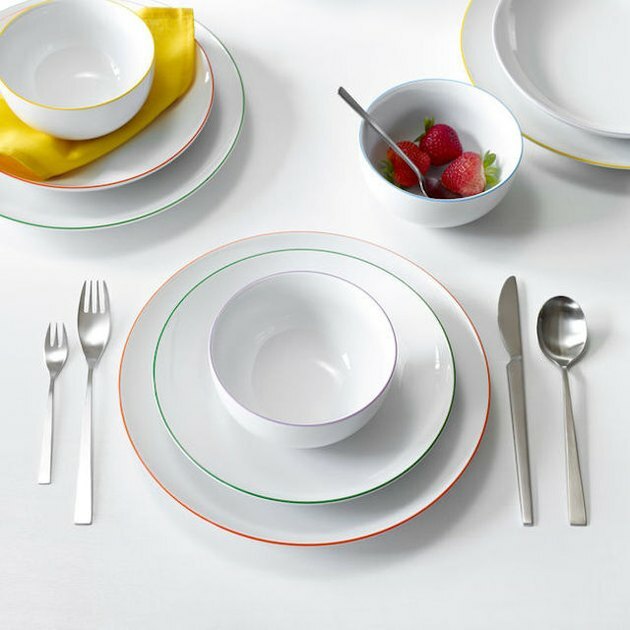 Our pick: the cheerful color pop of the Cucina Colori Dinnerware Plate Set. Imagine how nice it would be to grab some new winter whites. Especially upholstery. 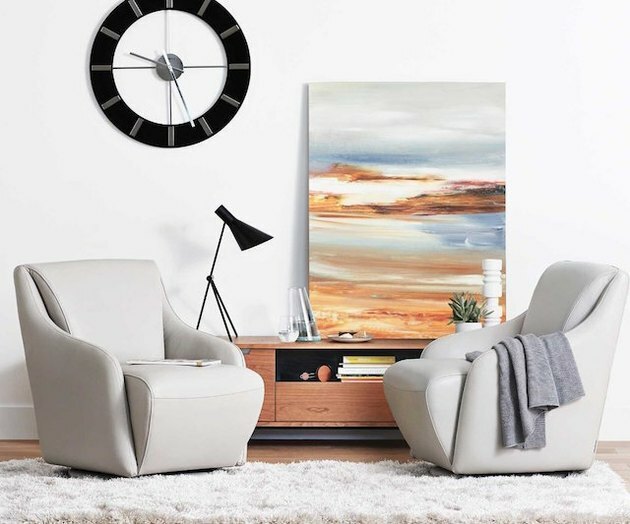 Shop Scandinavian Designs's big event and you'll discover furniture like the Nikki leather swivel chair ( was $1,099, now $949 ) in all shades of snowflake.